There aren’t very many plants that I will call fool proof, but the daylily comes pretty close. Tolerant of drought, tough soils, even partial shade, these beauties’ blooms last only one day. The good news is that there are always more buds to follow the ones that fade! 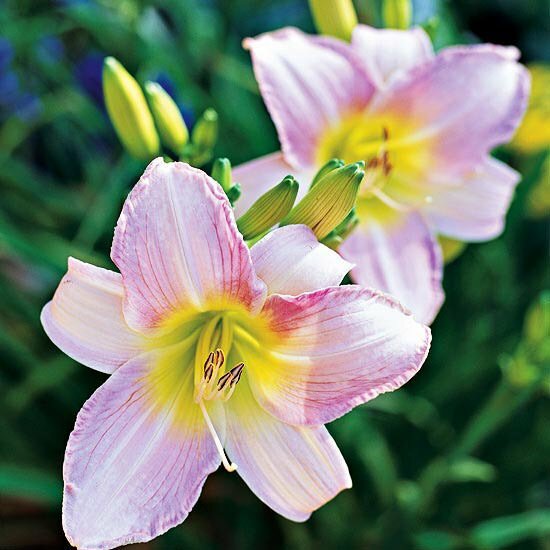 A lot of gardeners gave up on daylilies the last few years because their characteristic yellow blooms and strappy leaves just became a little overused. ‘Stella de Oro’ was a variety that rebloomed, was compact, easy to grow… and planted in about every garden and street side patch for about 20 years. Ok, that can get old. But did you know that daylilies come in every color except blue? That some are fragrant, some have huge blooms, and some grow 4 feet tall? 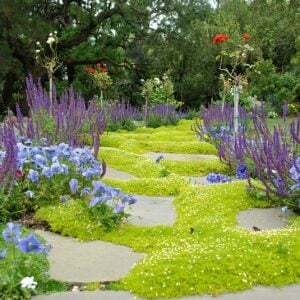 That they can be used planted en masse for great effect, as a ground cover, as a focal point in the garden, or in containers? 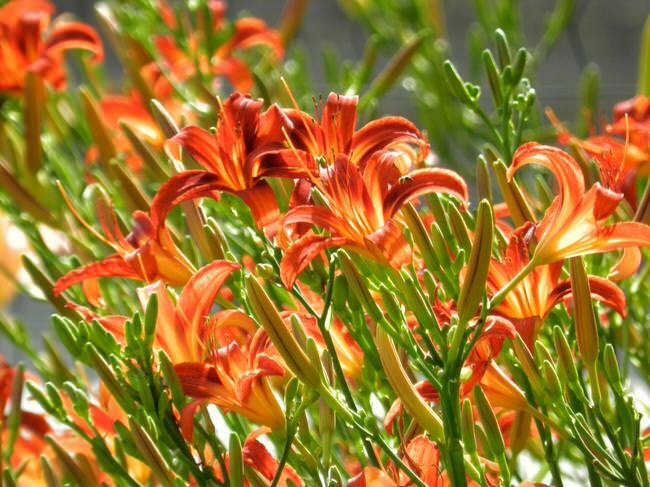 So here is your quick primer on how to grow daylilies! 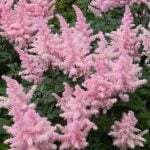 Most prefer full sun to get the best blooms, although the darker varieties will like some afternoon shade for the best color. 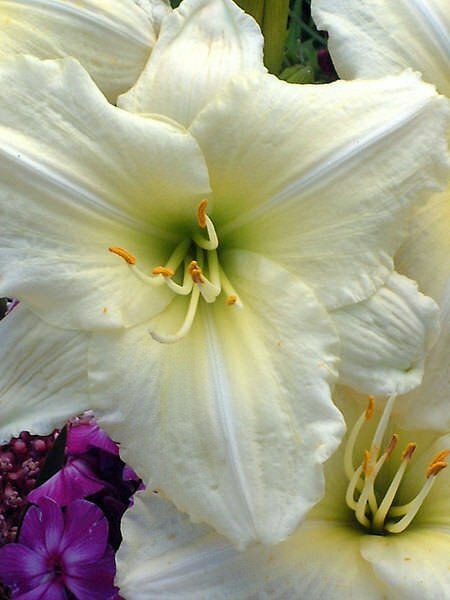 Choose an early, mid, and late blooming daylily variety to make sure you always have blooms. Plant with the crown of the plant 1/2 inch under the soil. 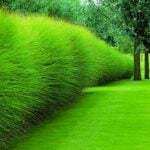 They prefer a soil rich in organic matter, but will tolerate poor soils as well. Water regularly the first season to get the root system established, then as needed after that. Fertilize in the spring with a low nitrogen fertilizer. Deadhead the faded daylily blooms as often as possible for the most blooms on each plant. Strive for twice a week if you can. Some varieties are “self cleaning” which means you don’t have to deadhead. 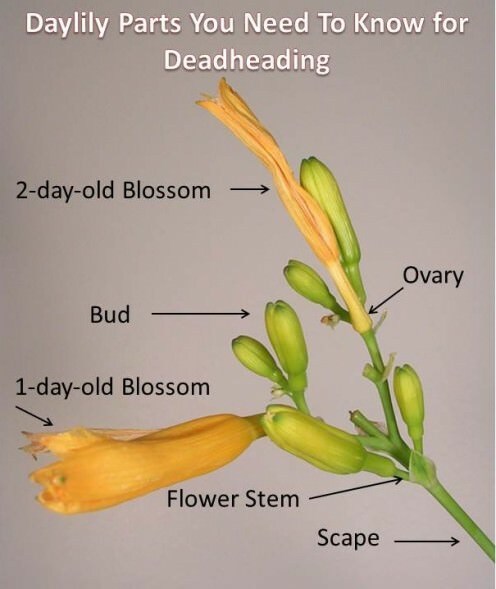 Here is how to deadhead a daylily, complete with a video from ‘Sally’s Trove‘. 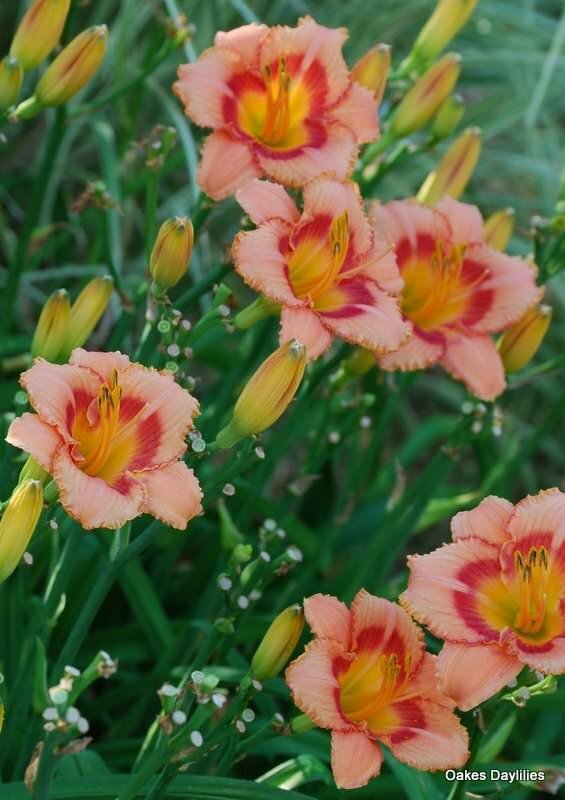 The last thing you need to know about how to grow daylilies is that they need to be divided every 2-5 years to keep them healthy and growing vigorously. This sounds like a chore, but is pretty easy to do, and provides you with lots of new, free plants! 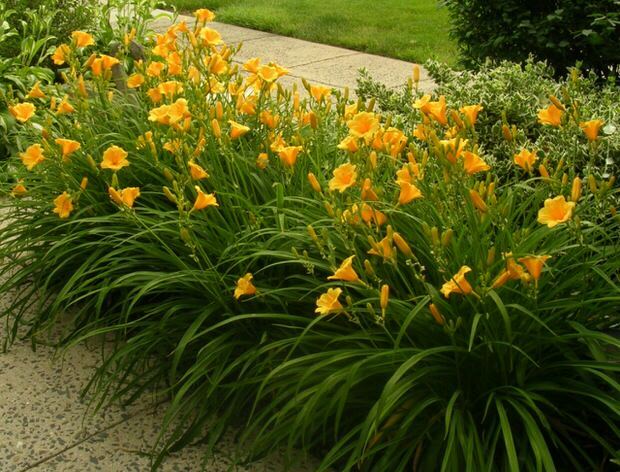 Jump on over to ‘BHG‘ and watch quick video on how to divide daylilies. 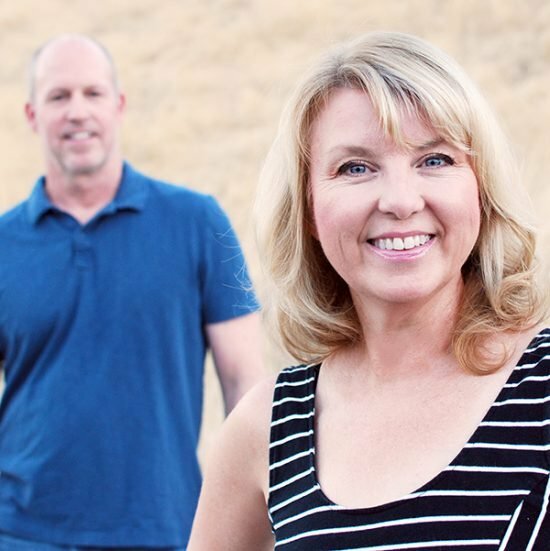 Did we mention they are tough? It would be pretty hard for you to do it wrong! Below are ‘Stella de Oro’ daylilies. That’s all there is to growing amazing daylilies in your garden. They are seldom bothered by pests and disease, but if you see mis-shapen, malformed blooms, consider treating for thrips. A simple insecticide soap is a good choice. One of the biggest problems you might face when learning to grow dailies is which ones to grow! A few of our top choices? ‘Happy Returns‘ is probably the best yellow flowered replacement for ‘Stella de Oro’, as it starts blooming in June and goes right through to October! 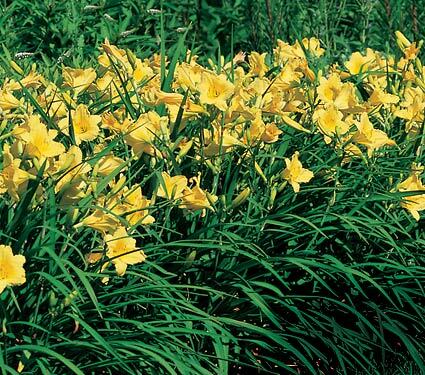 If you want a tough, dependable daylily, this is your choice! 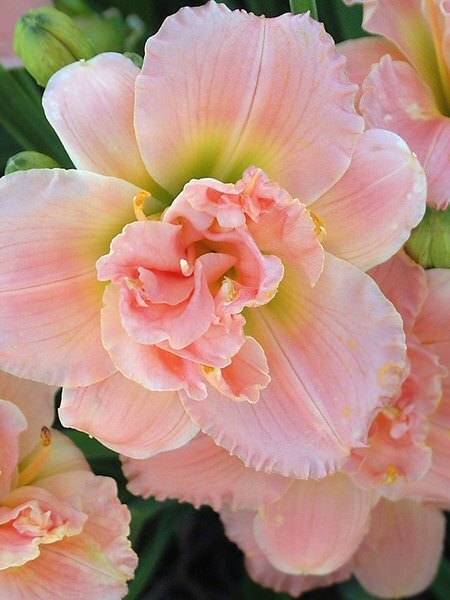 An old favorite, ‘Catherine Woodbury‘ is a daylily that has a gorgeous pink color with a yellow throat, and it’s fragrant! About 30 inches tall, one of my fav’s. Midsummer bloomer. ‘Joan Senior‘ will rebloom from July onward, and is the most white variety. 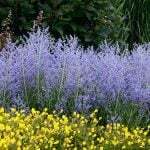 Easy to grow, and very drought resistant, they grow about 2 feet tall. 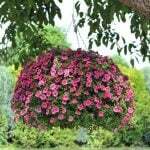 ‘Wineberry Candy‘ is a pink/ purple daylily selection that reblooms mid to late, and is a perfect 2 feet high. ‘Siloam Double Classic‘ has perfect peachy flowers, a super sweet fragrance and blooms early to late! For me, this is a tie with ‘Catherine Woodbury’. 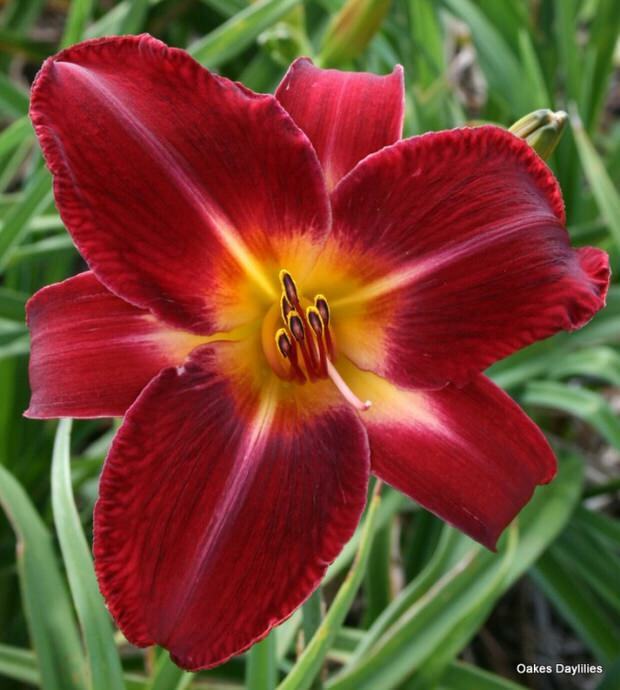 A daylily that looks like red velvet is ‘Red Volunteer‘. Midseason, likes afternoon shade where its hot. ‘Strawberry Candy‘ is a very popular variety of deep pink blooms with strong, green foliage. 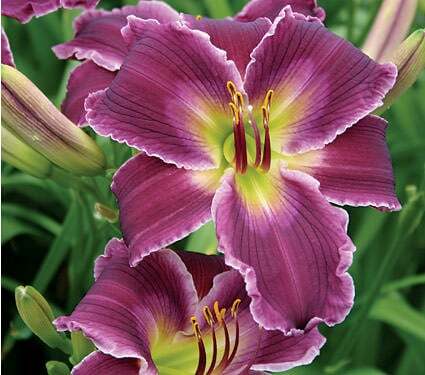 Lastly, ‘Indian Giver‘ is a daylily with a deep purple bloom with a crisp white edge. Mid season blooming, grows to 2 1/2 feet tall. As with most darker varieties, prefers some afternoon shade for best color. 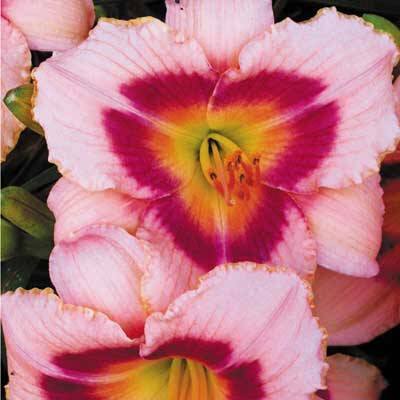 So grow daylilies! Now that you know how easy they are, what’s your excuse? :) And then jump right on over to our posts on How to Grow Peonies and How to Grow Hydrangeas! And remember, pin your favorites for later. That way, you can show the nursery what you are looking for! I just divided my new favorite daylily, going bananas, this year.